The Hudson Valley Celebration of International Women’s Day, organized by the Women’s Professional Network will take place March 5th. Interact Marketing will sponsor this event for a second year in a row. 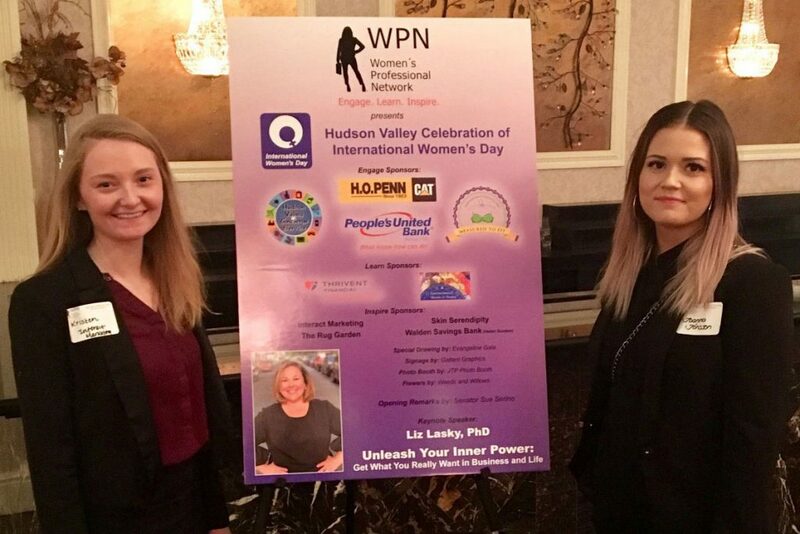 NEW WINDSOR, N.Y. (PRWEB) MARCH 01, 2019 – Hudson Valley-based digital marketing agency Interact Marketing will sponsor the Women’s Professional Network (WPN) organized celebration of International Women’s Day on March 5th, 2019 in Poughkeepsie, New York. This is the second year Interact Marketing has been a member of the local networking group, and the second year being a sponsor of this popular event. Each year, members of the Hudson Valley community are invited to attend this celebration, which features networking, speakers and a silent auction to commemorate International Women’s Day. This globally recognized holiday began in Europe in 1911 to promote women’s suffrage, as well as the right to work and the right to hold public office. Since then, the holiday has evolved to raise awareness for all aspects of gender equality worldwide. The International Women’s Day Celebration is the largest event this networking organization holds annually, with 80 women and men in attendance. The event features a keynote speaker, who is not only chosen to provide valuable career insights to all who attend, but also to reaffirm the annual theme set by the advisory board. This year’s speaker is Robyn Hatcher, owner and CEO of SpeakEtc. who is a communication expert specializing in developing corporate programs and private coaching. Kristen Semple and Irina Negru, associate of SEO and sales, will be in attendance at the event representing Interact Marketing. The Women’s Professional Network of the Hudson Valley is an educational and networking organization which creates a supportive environment for enterprising women in the Hudson Valley to form professional relationships, inspire one another, and develop an entrepreneurial spirit. We hold monthly events with speakers who present on topics of interest to professional women. Our keywords are “Engage. Learn. Inspire.”. We want our members to Engage with each other to build deeper relationships with each other, Learn from each other, and Inspire and be Inspired by each other. We welcome both business owners and non-business owners. To learn more about us, please go to our website and to our Facebook page at http://www.facebook.com/wpnhv.